to replace a color by another one. It’s like a color grading preset. 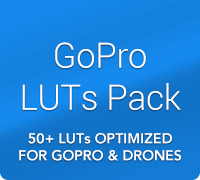 These LUTs are compatible with many photo/video applications (list below). Here is a free and unique LUT named Sedona. This LUT is profiled for classic video profile (sRGB & Rec.709) and LOG (flat). In the ZIP is included a set of LUTs to convert all LOG profiles to standard video (Rec.709). Panasonic GH4, Samsung NX1, Lumix LX100, Samsung NX500, Sony RX10, Canon 5D Mark III, etc. Please find below an awesome video review by Film Riot (not sponsored). Are you french? / Vous êtes français ? DaVinci Resolve réalisés par Frédéric Robin sur son site Video Effects Prod. Check the Instagram account for short video samples. This LUT is inspired by the Lomography CN 100 35mm. I added a hot touch to create a heavy sunset atmosphere. Skintones are warmer but natural, not carrot. 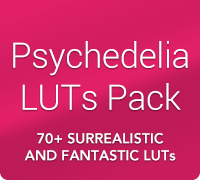 In the ZIP you will find the LUTs as .CUBE and .3DL files (size 32x32x32). 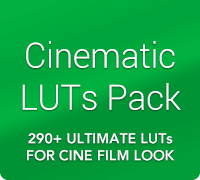 This pack contains LUTs as .CUBE and .3DL files (size 33x33x33), and a quick PDF guide. If you have some questions or any troubles, please contact me at contact@iwltbap.com. Header image by Paul Summers. Samples images by Chris Brignola, Will Langenberg, Artur Pokusin, Cho Eunseong, Andrew Ruiz, Drew Coffman, Morrie's Luxury Auto and Christopher Campbell.